The chairman of the permanent delegation to the Assembly hopes international community will condemn Serbian mercenaries. 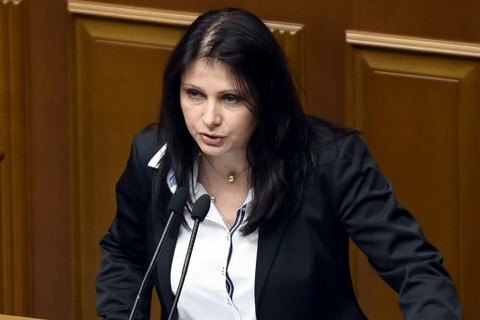 The Ukrainian delegation to the NATO Parliamentary Assembly is working on an appeal regarding the presence of Serbian mercenaries in Donbas, the chairwoman of the delegation, MP Iryna Friz, wrote on Facebook on Tuesday. "I believe that we should inform all international institutions about the shameful fact of participation of Serbian mercenaries on the side of Kremlin puppets against our state," Friz wrote. She made public the data by ATO headquarters about the arrival of Serbian mercenary snipers in the Donetsk sector. Friz hopes that the international community will condemn the actions of Serbian mercenaries. "Serbian authorities may add more supporters of the Russian world to the 45 cases they say they have already opened, in particular, Dejan Berić, nom de guerre Deki, Friz said. The Security Service of Ukraine (SBU) on October 11 said that in the "LPR" alone over 300 citizens of Serbia have been fighting since the beginning of the conflict in Donbas. Ukrainian ambassador in Serbia has repeatedly stated that Serbia turns the blind eye to the participation of its citizens in the war in Donbas. The prosecutor's office of Serbia in response said that 45 charges have been brought against Serbian mercenaries who participated in military conflicts abroad, including in Donbas.